Poker Night at the Inventory by Telltale Games has been holding my attention quite a bit lately. I know it’s not new, but I just got around to playing it this month. It’s a perfect game to be played while I’m playing World of Warcraft’s boring parts. I don’t read Penny Arcade, so I wasn’t familiar with Tycho, but Poker Night gives me a decent idea of his personality. The interactions between the four characters are entertaining, and of course, playing poker is fun too. Sometimes at the start of a new game, one of the characters won’t have the $10,000 buy in. Instead, they’ll use collateral. If you eliminate the character that used collateral, you win the collateral. My first goal (besides just beating a tournament on normal and then on hard) was to obtain all the pieces of collateral. At the time, I didn’t realize that they were items in Team Fortress 2. In fact, I kind of despite all the collecting and crafting that’s warped the launch TF2 that I loved (and I’m not the only one), but that’s a story for a different post. I just wanted to collect them because they were something to collect. Straight Flush: Win a hand with a Straight Flush. Four of a Kind: Win a hand with Four of a Kind. Down to the Green: Win consecutive all-ins. Three Wise Men: Win a hand when you have three of a kind comprised of three kings (of any suit). There are two things that make me want to keep playing. First, there are still some pieces that I need from LFR in World of Warcraft. LFR is a sort of easy mode raiding. I won’t talk details of WoW here, but there is a benefit to me doing them every week, but it’s extremely boring and easy. I can tap one key on my keyboard and do quite well, and I like to play something else at the same time. The other reason is that I haven’t learned my opponents’ tells. In fact, I wasn’t even sure if they existed. I had to check on Google to see if the characters have any. Yup, they do. I’m just bad if I haven’t noticed. I know I’m unlikely to pick up on all of them, but I’d like to figure out some on my own! For now, I’ll keep playing a tiny bit. 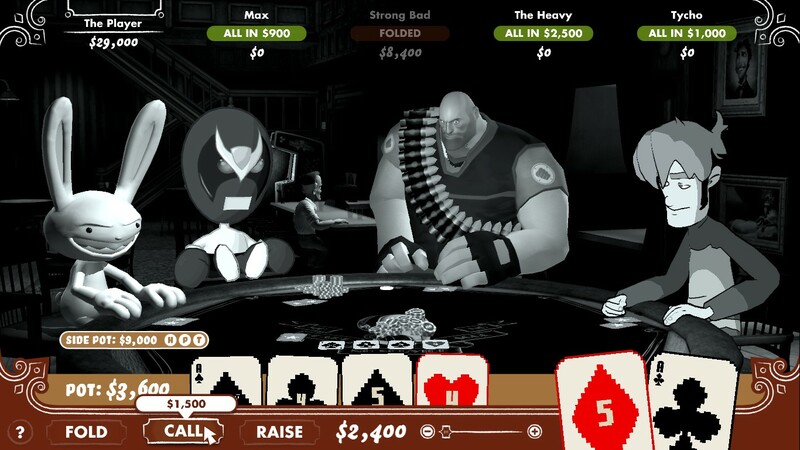 But then again, there’s always Poker Night 2! Cognition: An Erica Reed Thriller Episode 2: The Wise Monkey | iPhone/iPod, Reviews, Adventure. I put up a quick review of the second episode in the Cognition: An Erica Reed Thriller series on Game Boyz. If you like thrillers, detective work, and point-and-click adventures (and can overlook some minor presentation flaws), I’d recommend this exciting series. It’s also available for PC, although I played it on the iPad.